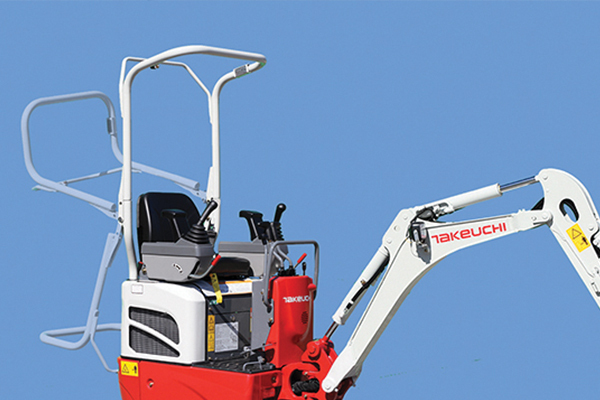 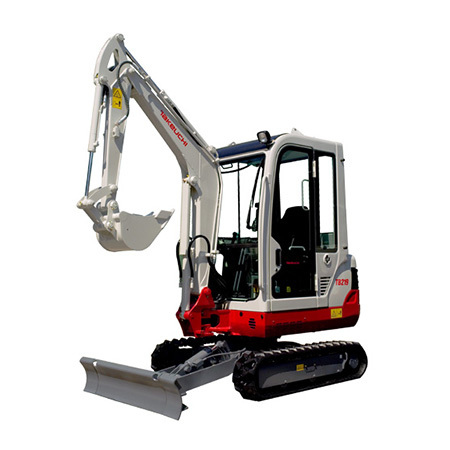 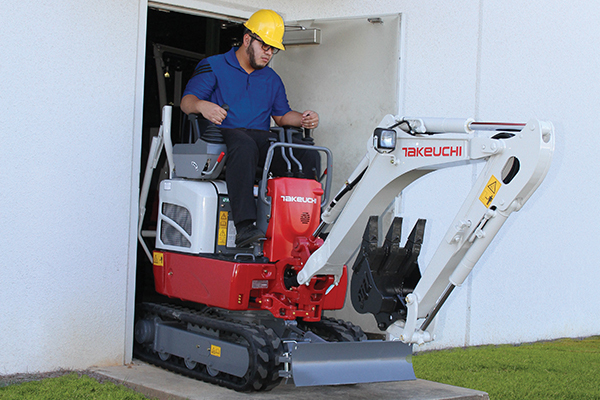 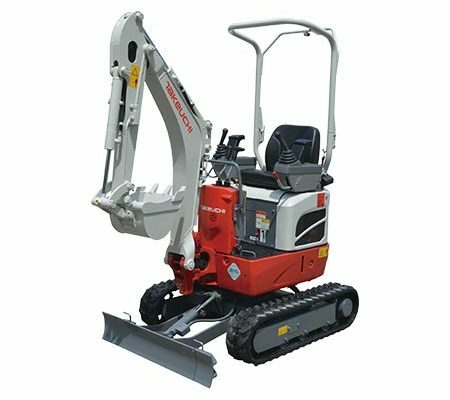 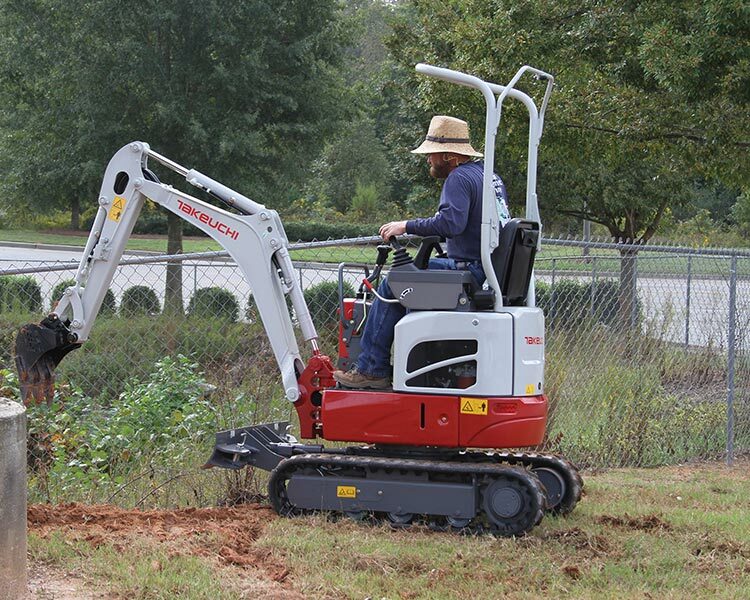 Zero tail swing allows the operator to work in confined applications without concern of rear swing impacts. 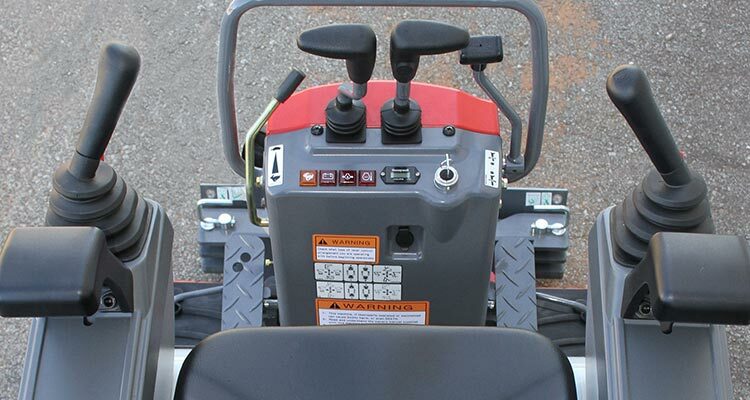 Improved Two Speed – features a convenient push button on the right travel lever to shift from low to high speed. 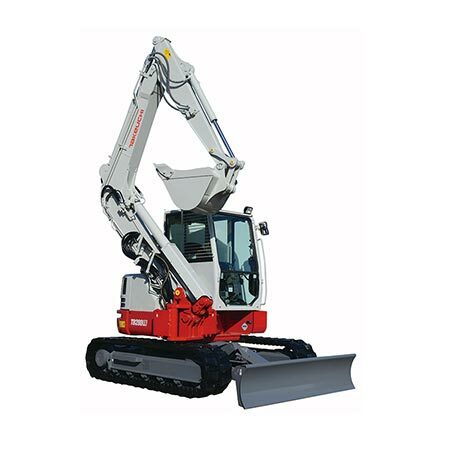 Boom Arm – provides greater working range and features two way auxiliary hydraulics with shut-off valves. 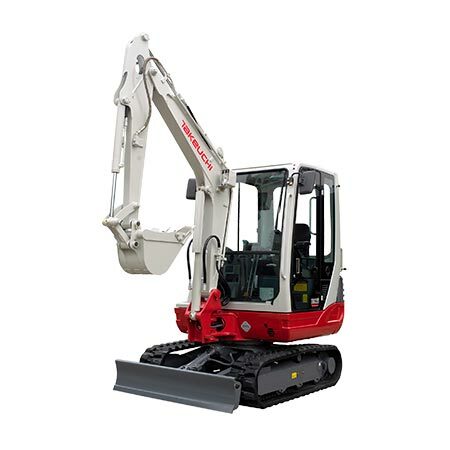 Powerful Traction Force – for excellent turning and travel performance in varying conditions.